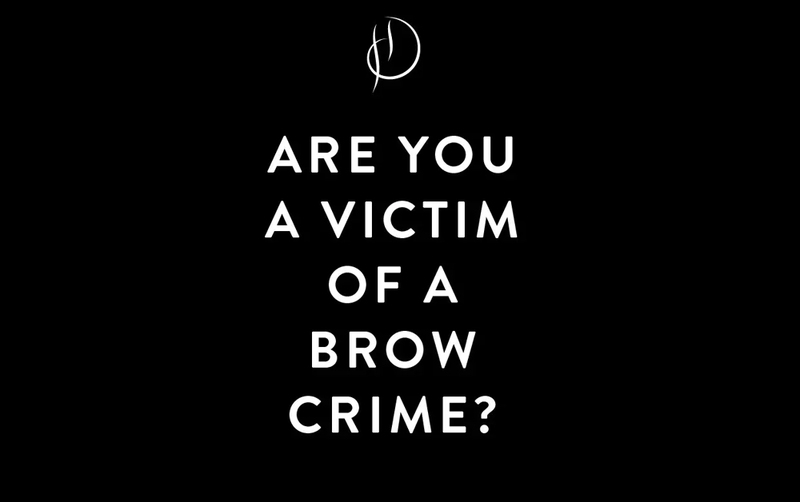 Are you one of the many of us who fell victim to teenage tweezing and lost your natural eyebrow shape to sparse, overplucked brows? Don’t worry, you’re not alone. 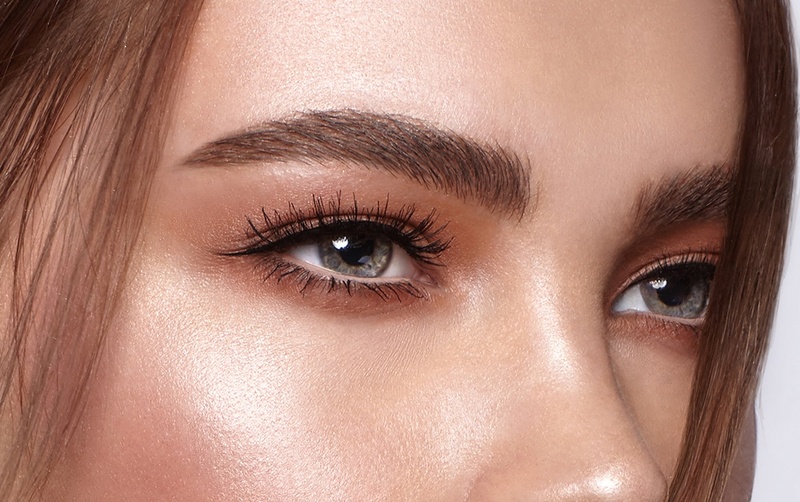 When it comes to growing back brows, it seems easy to opt for a style you like and run with it, but Cara Delevingne inspired bushy brows or a Jourdan Dunn-esque high arch might not be the perfect brow shape for you. Brows are the frames of the face, so you should make sure yours are totally bespoke to you and your features. Here is the ultimate guide to eyebrow shapes. An oblong face has the same characteristics as a square face, the only difference being that they are longer than they are wide. The forehead, cheeks and jawline will be around the same width with very little curvature in the chin. We recommend keeping your brows straight to avoid adding extra length to the face. You can opt for a higher arch but may have to lower the front of the brow to keep the arch in its natural place. Adding length to the end of the brow and keeping the brows far apart at the front gives the illusion of a wider forehead, while angular shapes flatter the naturally angular features. A heart-shaped face can be spotted by a narrow, pointed chin. The forehead that is the widest part of the face. We can use brows to make the forehead appear smaller and therefore make the chin appear less sharp. 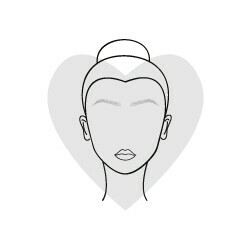 Flat, straight brows will only exaggerate the forehead, while rounded brows will emphasise lines of the heart shape. A softly shaped brow with a slight curve will look the most flattering. Keep the brows shorter in length and close together to draw attention to the middle of the face. Square faces are similar to rounded but have strong angles rather than soft curves. The sides of the face will be quite straight with an angular jaw line. 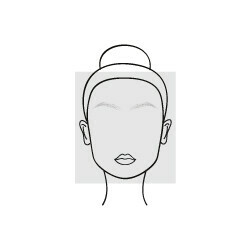 The brow should be kept angular so to not contradict the natural face shape. As with round faces, the arch should be lifted and the tail lengthened for a longer looking face. 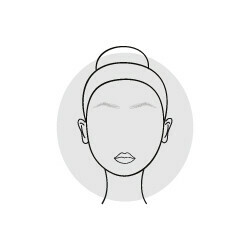 A flat brow will emphasise the square shape of the face, while the curved appearance of a rounded brow will not flatter your gorgeous features. 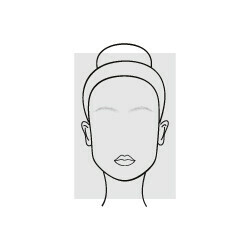 A round face has a soft, curved chin and the cheekbones are the widest part of the face. There is one simple tip that our elite HD Brows trainer, Sarah Dunton, has for those of us with a round face: “Don’t put round brows on a round face”. 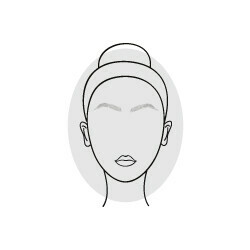 Rounded brows on a rounded face will make the face appear, you guessed it, rounder. On the other hand, a straight brow will cause the face to look shorter. So, you would assume something a little more square and angular would counteract this, right? Wrong. Any harsh edges will not compliment the curved contours of the face. The best way to flatter a round face shape is to keep the brow soft and slightly curved. Height at the arch of the brow creates height, while a little extra length on the tails creates the illusion of a longer face. An oval face has a forehead that is not too much wider than the chin. The chin is soft and there is a slight curve to the sides of the face. Ovals suit most brow styles, but there are a few key points to bear in mind. You should try to avoid making brows too angular; keep the characteristics soft for a more flattering brow. Finding the perfect brow match for your face shape is tricky. This is why it’s always best to leave it to your HD Brows stylist. 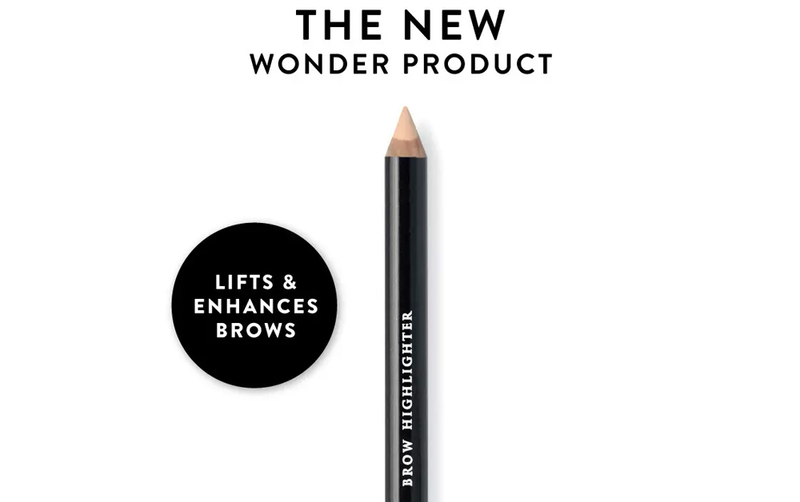 Remember, it was those at-DIY home tweezing sessions that lost your natural brow shape in the first place! Expertly trained in mapping out the perfect brow, our stylists will do all the hard work for you. If you don’t already have one, head to our Salon Finder to find your nearest stylist.